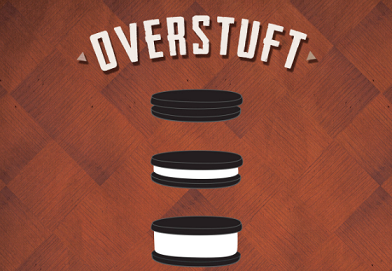 Overstuft is a utility prop that enables you to do a myriad of magical effects using something the whole world is familiar with – a chocolate cookie! Magic doesn’t get any sweeter than this. Originally a limited release of 100, the original gimmick allowed the cream to refill to the size of a normal cookie. This new and improved version is Bizzaro’s latest rendition of one of his most powerful effects. The cream can diminish, refill, and even become Overstuft! This enables a remarkable visual effect. A must-have addition for every performer and magic enthusiast.